Under the goal on health and wellbeing, one target currently aims to reduce premature mortality from non-communicable diseases (NCDs) by one-third through prevention and treatment by 2030, and to promote mental health and wellbeing. However, more than half of deaths from NCDs occur in people over the age of 70 and as currently written the SDGs would exclude these people. The framework describes death before the age of 70 as being ‘premature’. Signatories of a letter published today in The Daily Telegraph say that this would allow governments to deny prevention, treatment or care to people aged 70 and over. They are calling on negotiators at the UN to use ‘preventable mortality’ instead. Ageing experts are concerned that the majority of people who die from NCDs will not be helped under the current target. Age International’s calculations show that based on data used by the UN to formulate the SDG target on NCDs, more than half (56%) of the 36 million deaths caused by NCDs were in people aged 70 and over. According to the Charity, which supports older people around the world, changing the wording is crucial. A one-third reduction in mortality could see almost 12 million fewer deaths if the language is changed to ‘preventable mortality’ compared with just 5.2 million if only those under 70 are included. 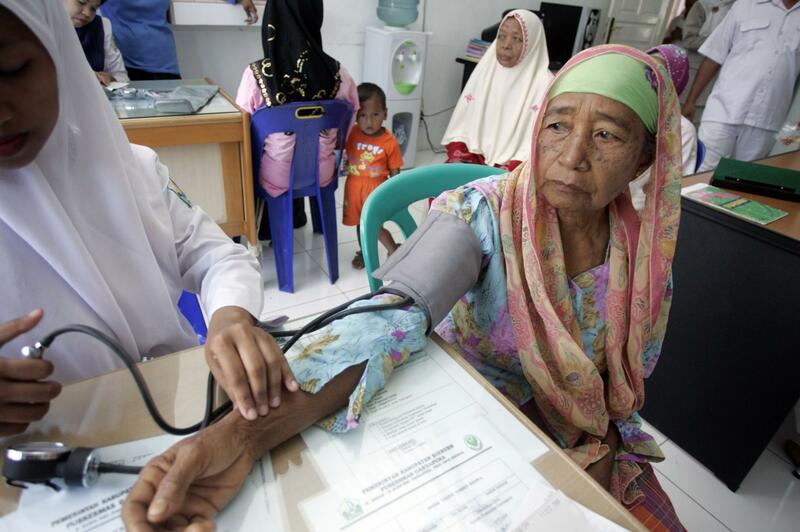 A community healthcare clinic in Indonesia. This issue is not limited to developed countries. NCDs are now the leading cause of death globally and eighty per cent of all deaths caused by NCDs are in low- and middle-income countries. 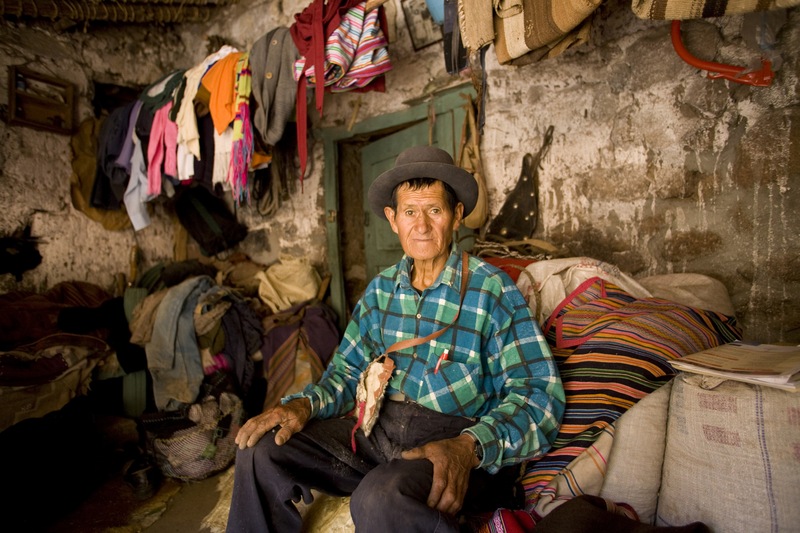 Age International cautions that healthcare systems in many low- and middle-income countries are under-prepared for the predicted increase in the number of older people with chronic diseases, and that a target of premature mortality would not encourage the changes in policy and investment that are needed. For instance, the health of the 1.2 billion people aged 55 and over today would not be considered relevant by the time the SDGs come to a close in 2030. In the UK, age discrimination laws were introduced in 2013 to ensure that healthcare decisions are based on clinical need and not age. For more information please contact Sara Guy on 020 3033 1466 or email sara.guy@ageinternational.org.uk. The Post-2015 intergovernmental negotiations (Intergovernmental negotiations on the outcome document) on the Sustainable Development Goals are taking place in New York 22-25 June. The final framework will be agreed upon and ratified at the UN General Assembly in September 2015 and will set the agenda for international development for the next 15 years. These final negotiations are the culmination of a three year process involving national and regional consultations with millions of people and thousands of organisations. The third Sustainable Development Goal is to ensure healthy lives and promote wellbeing for all at all ages. Under this goal, target 3.4 is currently: by 2030 reduce by one-third pre-mature mortality from non-communicable diseases (NCDs) through prevention and treatment, and promote mental health and wellbeing. Data from 2008 were used as the basis for recommendations of the current target.